An automobile accident can turn your life upside down. There are many obstacles to face when involved in an accident. One of the obstacles are injuries you’ll have to deal with now and long-term. At Spinal Correction Center, our team helps people suffering from pain due to an auto-accident. We help patients recover from their injuries as quickly and safely as possible. ​By correcting the actual cause of your injury, instead of just masking the pain, we will help you heal. Some people experience pain immediately after an accident. However, others may not feel the pain until weeks or months later. Chiropractic care is an effective way to treat auto injuries, primarily due to its focus on the spinal realignment of the back and neck and its focus on soft tissue healing. 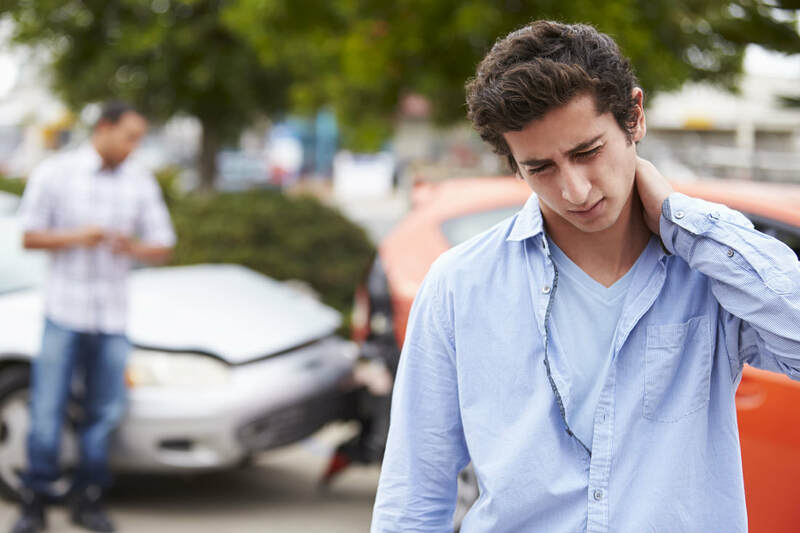 If you're experiencing pain after a car accident, visit Dr. Mulvaney for a chiropractic consultation and exam to determine if any residual pain or long-term damage may occur if left untreated. There are millions of car accidents every year in the U.S. It is very common for you or someone you know to have been involved in a car accident. Whether you are driving to work, or driving to catch a new movie, odds are you are passing hundreds if not thousands of cars per trip. Whether a small “fender bender” or a severe crash, it could be important to seek chiropractic help. Even if you were involved in a minor accident, whiplash from a small "fender bender" can still cause long-term damage in certain cases. Our premier chiropractic care will help to alleviate the pain and bring you back to recovery as soon as possible. Don’t delay, call our office today to see how we can help you recover from an auto-accident. Within a 24-hour period, an individual involved in an accident may experience neck pain and headaches. These are some of the most common symptoms people face after a car accident and this is caused from an injury known as whiplash. Like the name suggests, whiplash is a whipping motion where the head and neck is jerked forward and backwards in a fast motion while the body is at rest. This frequently happens in auto accidents because an individual is fastened in their seatbelt and when impact occurs, their body stays at rest while they head and neck are free to be jerked around. Whiplash damages the muscles and tissue surrounding the spinal column, causing symptoms such as headaches. Another common injury individuals face when involved in a car accident is back pain. You could bruise or damage the spinal cord, vertebrae, cartilage discs, and nerves between the vertebrae after a car accident. Lower back pain isn’t considered a “normal” symptom following an accident. This could be an indication of a serious problem. If you are experiencing back pain following a car accident, our Richmond chiropractors will provide you a thorough consultation and recommend treatments designed to relieve your pain and restore you back to your full range of motion. We understand that getting into an accident is a hassle. Our team will make it easy for you to receive great chiropractic care without stress. Finding the proper chiropractic care shouldn't be a headache, that’s why we put your pains and aches first, helping every patient every step. Our team will help you get back to doing whatever it is you love to do. From diagnosis to the day you leave our office pain-free, we are there with you every step of the way! Call today to book your chiropractic consultation with an experienced and friendly team that will help you move past your auto-accident injury!